* If you click the links in this post and make a purchase, I may receive a commission. I made a LEGO cake plate for my LEGO DUPLO House Party we have coming up, next week. It was actually pretty easy to make. I have an old stash of LEGO that I pulled out. 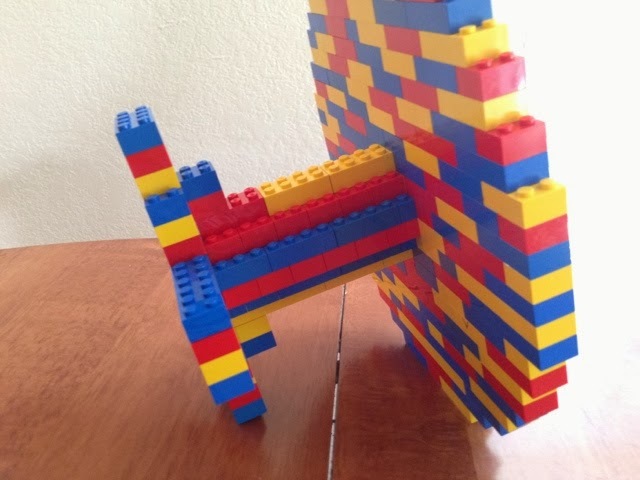 Luckily for me, my husband and I sorted all of our LEGO a year or so ago, so I had a nice stock or 2x bricks to use. For the color combo, I stuck to the red, yellow, blue mix for this project. It was what I had most of, and I like the way these colors look together. No black, white or other colors. They start to look too messy in my opinion. These 3 colors look cute together. I built the cake plate "sideways" so the studs were not on top. This made it an easy construction project. 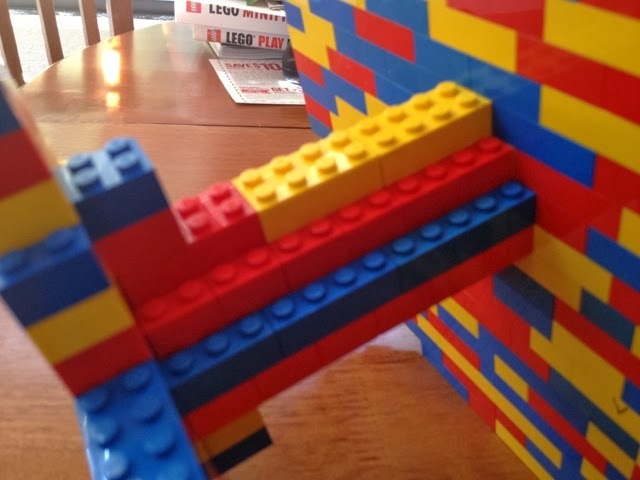 I simply locked the center stem in place with the LEGO. You will have to make sure you are interlocking pretty well while you are putting the pedestal together. I don't know if I want to put a cake on it. Maybe muffins would look nice stacked or??? I just knew that I wanted to make it. Maybe I will make a cake. I will have to make sure it is sturdy enough. It is old LEGO, so the "clutch power" is really strong compared to newer LEGO it seems like. The toddler did the shake test and I passed! Also check out our DUPLO Cake Plate tutorial! I love LEGOS! They seem to capture a child's imagination, and lets them put it into a visual reality. 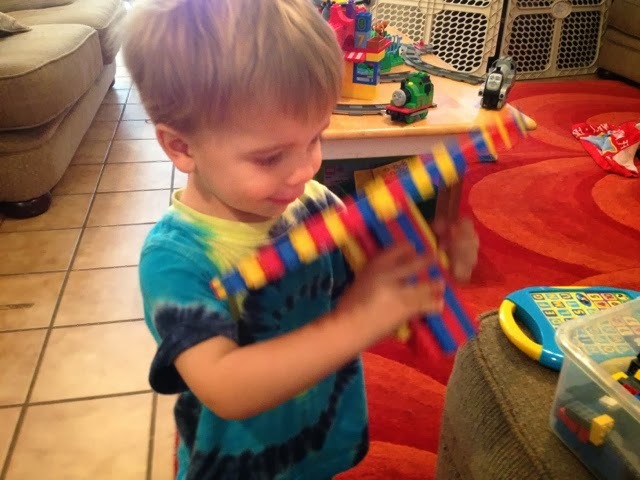 When my kids were small they had hours of endless fun making great things. Sometimes it was hard to watch them tear their creations apart, but they would begin again. I love legos! This is so great, perfect for our next birthday party! Thanks! What a super idea--so cute! Thanks for sharing your inspiration. Really wish I would have seen this post before our son's last birthday.....I just may have to talk him into another Lego inspired party next year! That is awesome! I can use it for my sons birthday party in March. 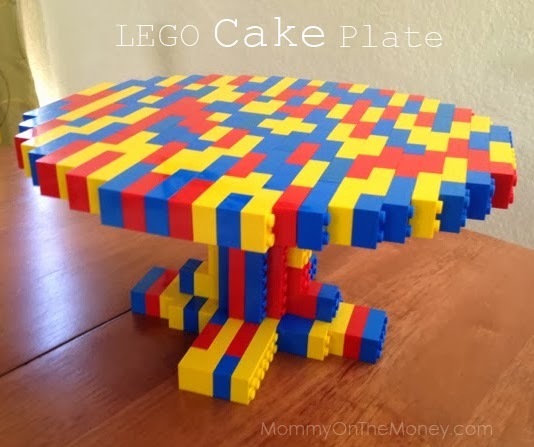 I have seen a lot of Lego ideas before but never a cake plate. Brilliant! Love it! Sharing away!!! OMG I want to make this now. SO fun! We are getting ready to have a lego birthday party. 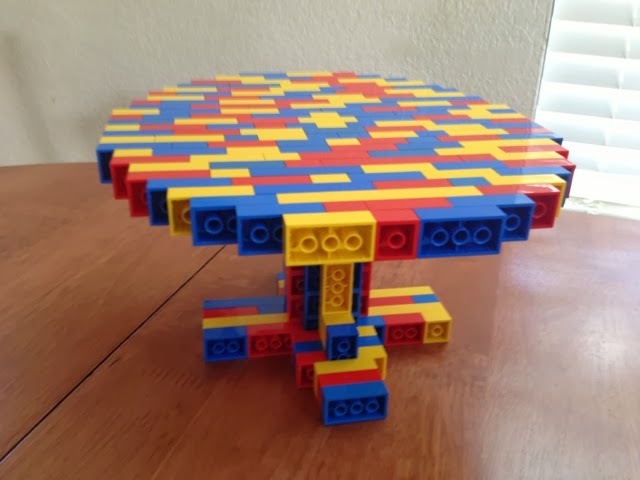 I make the lego crochet blanket, i have a lego party pack and now this cake stand. Its going to be perfect! Has anyone tried putting a cake on it? Wondering how it held up? I'm not sure I'd use if for a cake either but how fun for cupcakes or other party foods at a child's birthday party!